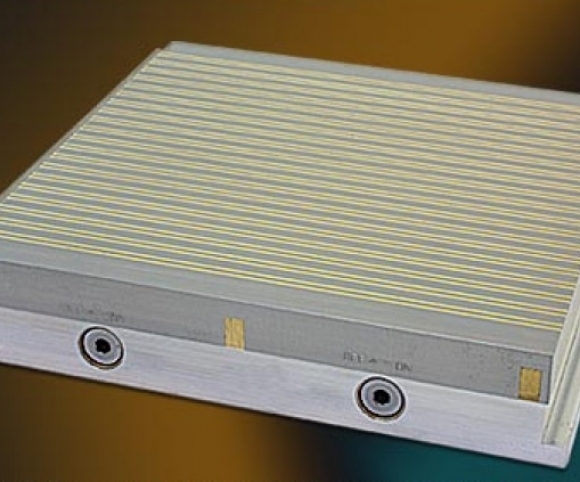 Permanent Magnetic clamping plates PMEF type, high-precision special plates for use on eroding machines and everywhere where the magnetic field is actually desired directly on the plate. PMEF work with a strong, low-scattering ceramic magnet system which generates a field height of less than 3mm. The clamping force is adjustable in 2 sectors, the pole plate is brazed silver hard and therefore very sturdy and stiff. The clamping plate is activated by a removable hex switch lever.